The Southside Farmers Market at Queen’s Park is back on the first and third Saturday of every month for 2016! Located at the corner of Pollokshaws Rd and Langside Avenue, the Southside Farmers Market at Queen’s Park is back on the first and third Saturday of every month in 2016, starting on Saturday the 7th of February. 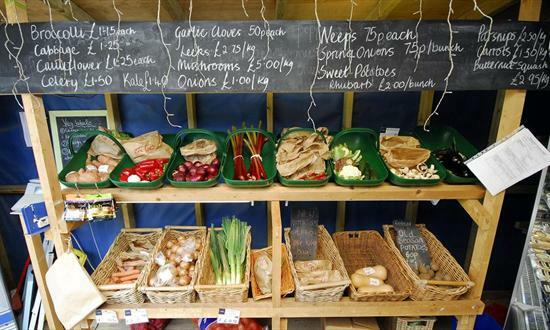 With a superb array of fresh produce from over 30 stallholders, you’ll find a wide variety of seasonal vegetables, fresh fruit, quality meat, free range eggs, bread, cakes, cheese and fresh street food to be eaten on site. And the onsite entertainment completes the market experience! Our farmers market brings a taste of rural Scotland to the city by giving residents access to a diverse range of affordable, healthy and locally produced food. The emphasis of these markets is to help local producers and processors sell their goods directly to the public. The Glasgow Farmers’ Market takes place every 1st and 3rd Saturday of the month at Queen’s Park – at the corner of Pollokshaws Rd and Langside Avenue.